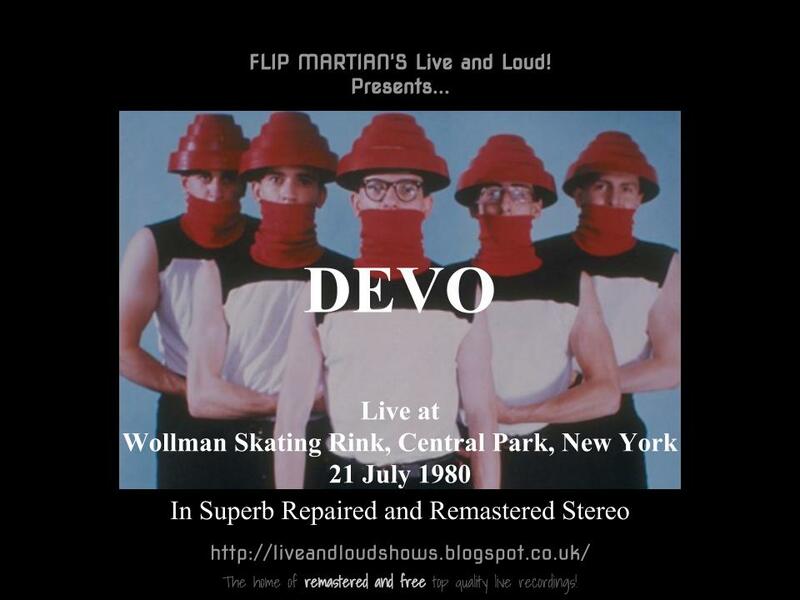 Another outing for Devo, and this is a really energetic performance from the original spud boys! 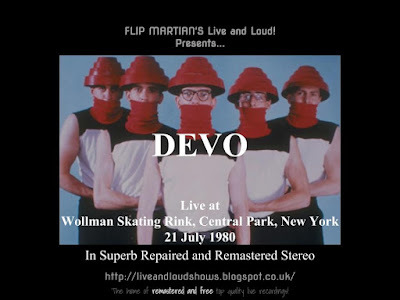 Their 3rd album - Freedom of Choice - had just been released in May 1980 and Devo went on a tour in support of the album which lasted from May until August and included dates in Japan, mainland Europe, the UK, the USA and Canada. This was also the tour which saw them wearing the famous red energy domes for the first time. This recording was in generally good shape but had a couple of weird moments with noise lasting several seconds over the recording, which took some getting rid of. After that I spent a few hours with EQ which has really paid dividends, giving clarity and power to all the instruments. I finished off with some mastering tools and I'm sure you'll enjoy the end result. 20 tracks of brilliance as the energy levels get pumped up.